Plants begin to eek out an existence on an a lava-encrusted landscape. 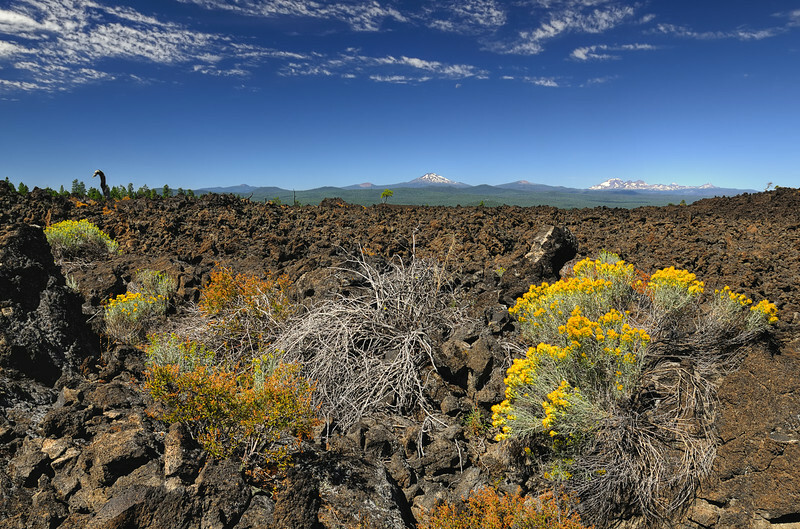 The Lava Lands at Newberry Crater National Volcanic Monument were formed by a cinder cone eruption just 7,000 years ago. The eruption covered over 9 square miles with lava!